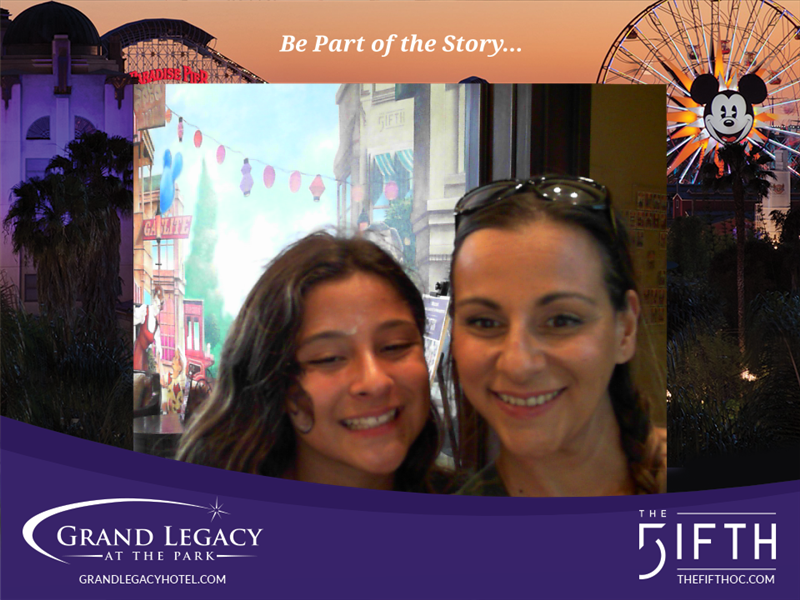 Ready for our Staycation Favorites on Grand Legacy At The Park - Hotel Next to Disneyland Resort?! I've written about how much we enjoy staying and playing at our favorite local Anaheim Hotel, Grand Legacy At The Park many times... we really so enjoy it! But.. this time I am just summing up our most favorite things about why we stay and enjoy it... feet away from Disneyland! * Walking distance to parks.. and by walking I mean under 5 mins if you get stuck at the crossing light to main security check in! Check out one of my videos of the easy walk to the main gates here. 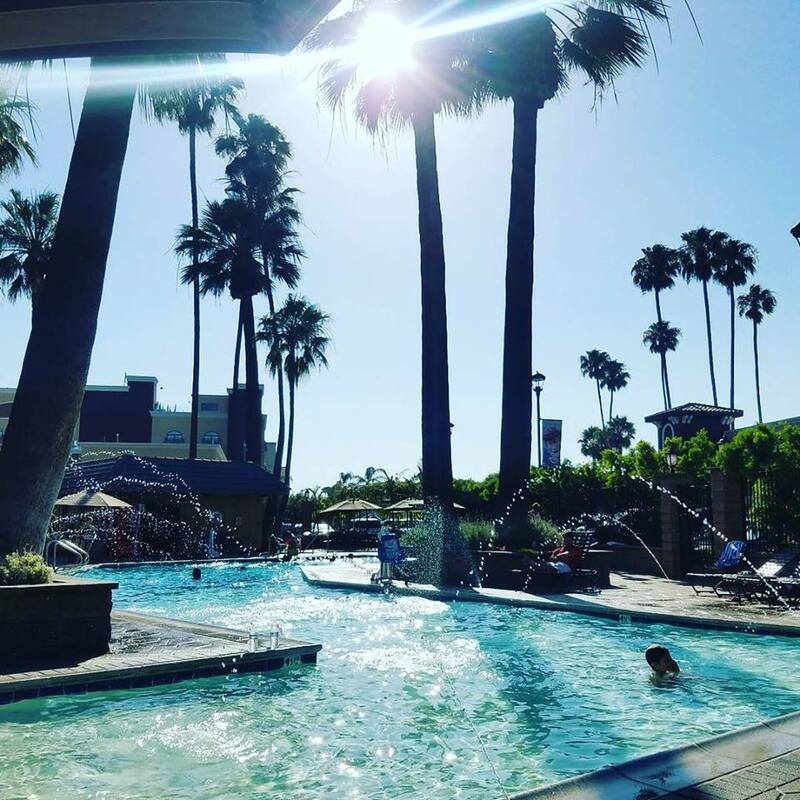 * Heated pool. Sometimes the kids skip the day pool play and want to swim at night while watching fireworks. 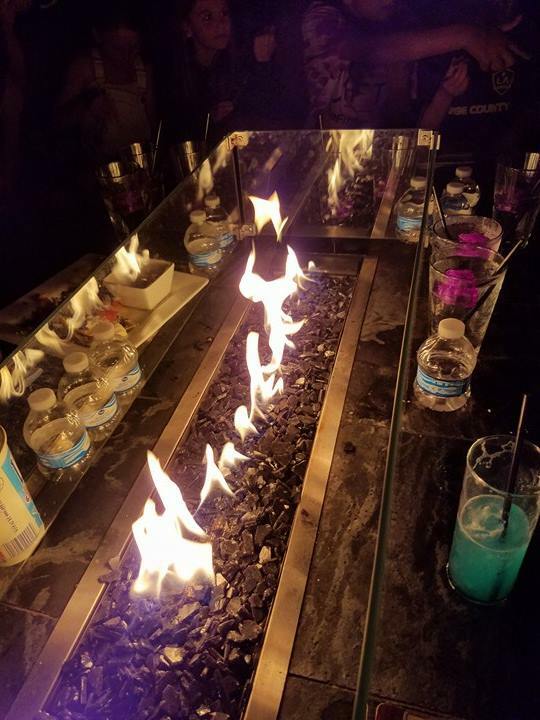 It's heated so that is totally possible at night and we all love it's relaxing atmosphere. * On site amenities... food & entertainment! Grab a bite at the locations below the hotel's new tower or eat rooftop at The Fifth OC rooftop lounge. 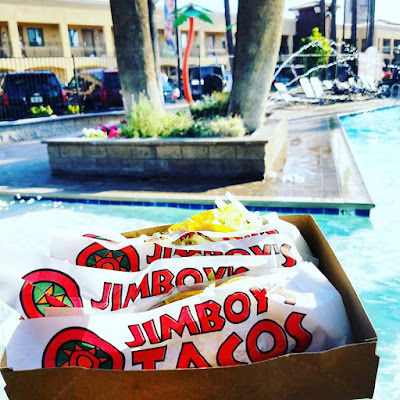 Jim Boy's Tacos is our favorite while staying and playing! 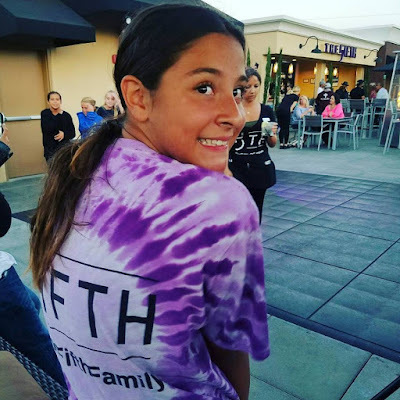 The Fifth OC family friendly under 21 until 10pm! They also play the music to the fireworks as well as have live music! Check out more info here. My notes on The Fifth... Rooftop Lounge, The Fifth, has live music, nightly events and views of the fireworks that are streamed to the Disneyland music. Oh and we love that its all age friendly up until 10pm then its 21 and over! Always gearing the festivities around families first. * Customer Service is awesome. We have never had a stay where we were not happy. Check in is easy too. The rooms are awesome. Everyone is kind and helpful. Just ask and they will try to accommodate! 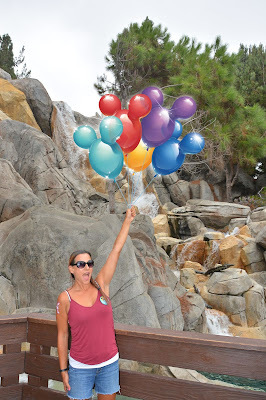 They offer a snack bag daily when you stay so that you can take a snack into the parks or on your local adventures. * All stay Friendly... what does that mean!? Well we like to stay at the hotel for many reasons. The Grand Legacy at the Park is handicap friendly as well as autism friendly.. I mean if there is a sensory need just ask and they too will do their best to accommodate. 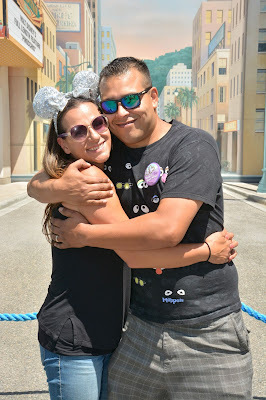 We have stayed overnight for a holiday party at Disneyland so that we are close by... My kids have had team building stays and we have spent our anniversary and birthdays celebrating at the Grand Legacy at the Park! I mean look at the views of Guardians of the Galaxy..
* Bonus . . . Annual pass hook up! Discount and early check in! Bam look it up here. Love it! 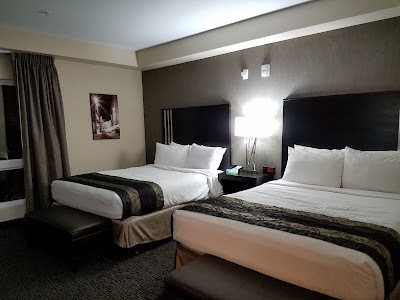 With so many reasons to stay and play at the Grand Legacy at the Park it really is an easy choice for staycation fun and I love suggesting this hotel to our out of town visitors too! Have a question about The Grand Legacy at the Park.. please drop it in the comments and I will do my best to answer or get an answer for you!